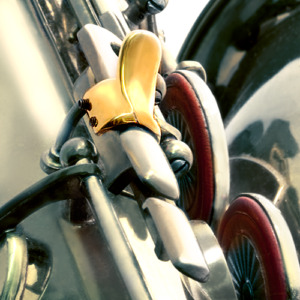 The High E Stopper saxophone enhancer is designed to improve the ergonomics and stabilize the High E side key. This enhancer changes the shape of the High E from flat to curved, which allows the player to automatically feel where the key is instead of having to guess blindly. Designed to fit all makes & models of alto, tenor, and baritone saxophones. Most commonly used on Selmer MKVI.